Finnish Lapphund is hard-working, medium sized dog originated in Lapland, Finland, where his main job was to herd reindeer. 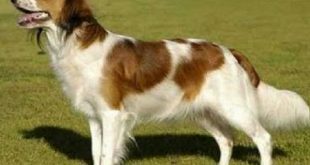 Today he is one of the most popular dog breeds in Finland, but it’s not very numerous in the rest of the world. 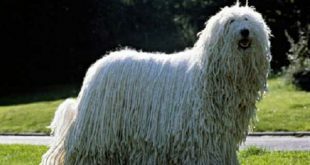 The dogs from this breed are active, intelligent and adaptable. 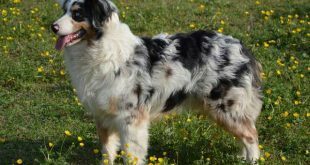 The still have their herding instinct and barking tendency which makes them very good watchdogs which will bark toward strangers. The Finnish Lapphund is friendly towards other dogs, children and familiar people. He has profuse, waterproof double coat with longer topcoat and thick, soft undercoat which makes him resistant to very cold weather. The coat color varies a lot. You could find Finnish Lapphund in literally all colors – black, white, brown, red and also in combinations of more than one color. Although the coat is quite long and fluffy it’s fairly easy to groom. 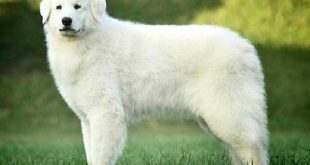 These dogs are naturally in good health and life expectancy is about 12 – 14 years. It is not uncommon to find even 17 years old Finnish Lapphund in Finland.